** If you are looking for the Pretty Pink Posh Blog Hop / Giveaway please scroll down or click HERE. 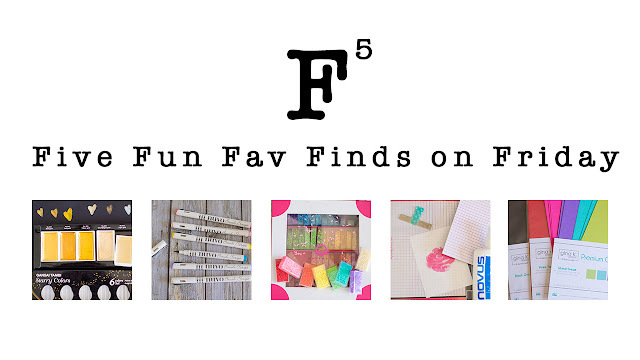 If you stopped by last week, you know that I have started a new YouTube series called F to the Fifth Power, which means Five Fun Fave Finds on Friday! I am highlighting 5 things that I have loved during the week and showing them to you up close and personal so you can decide if they are something you want to add to your stash or not. You can see last week's post HERE. This week I've found 5 new items that I am trying out or just really loving right now. 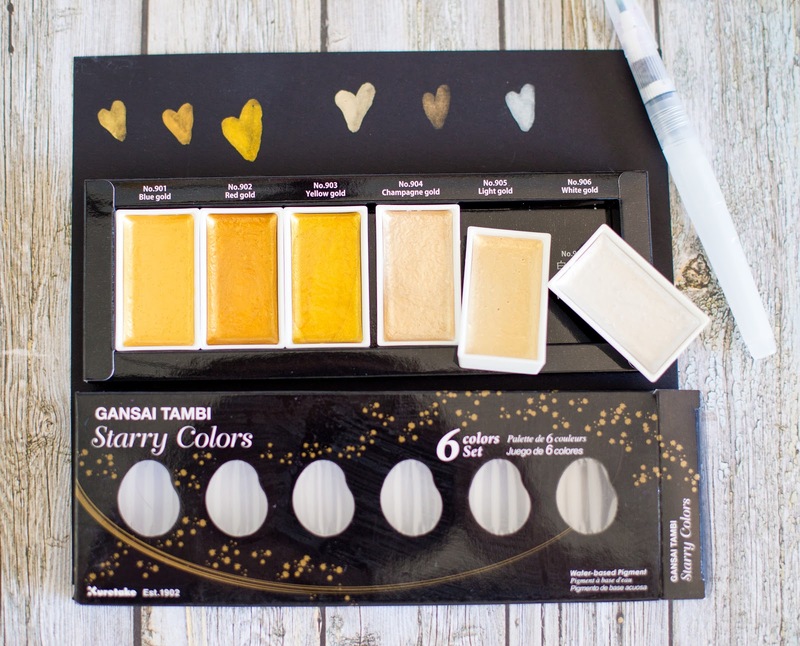 To start with , these are the Kuretake Gansai Tambi Starry Watercolors. I had gotten these a little while ago, so it was definitely time to get them out of the box and see what they could do. I was happy to see they were in the same type of pans that I had from my other Gansai Tambi watercolor set. I really loved how opaque most of the colors were on black cardstock. They are creamy and add a beautiful metallic shine. I highly recommend them! 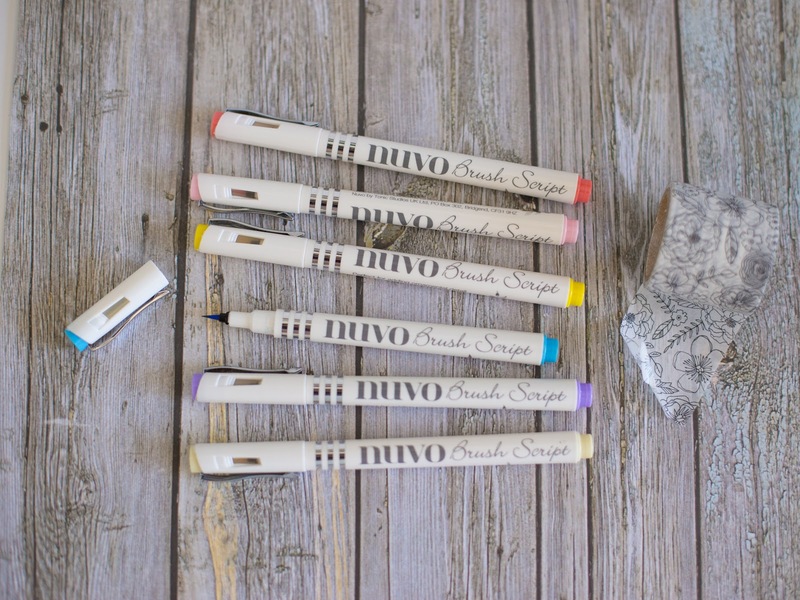 Next up are the Tonic Studios Nuvo Brush Script markers. These seem similar to the Kurtake Clean Color markers in that they are water based and have an actual brush tip. The Nuvo brush pens come in packs of three and seem to be more affordable than the Clean Color. I have also had several of my Clean Color markers dry out very quickly, but so far these Nuvo ones have been very juicy. Next, we have the Queen and Co Candy Sprinkles. I can NOT WAIT to put these sprinkles in a birthday shaker card. 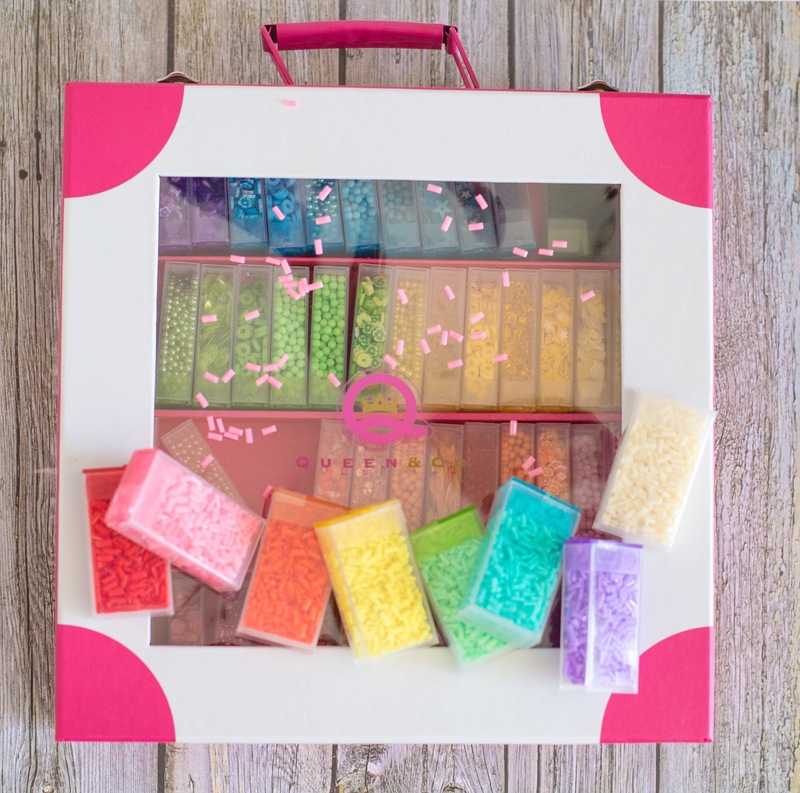 Oh and if you have a Toppings addiction like me, you can get a Queen and Co Storage Trunk to hold up to 64 Toppings containers! I know the MISTI is not a new product, nor is it new to me. But, I was working with it again this week and I can't be reminded enough of how poor my stamping skills were before the MISTI came along. And finally, I was super excited to find out that Gina K. Designs had partnered with Therm O Web to create beautiful foils and other fun foiling items. 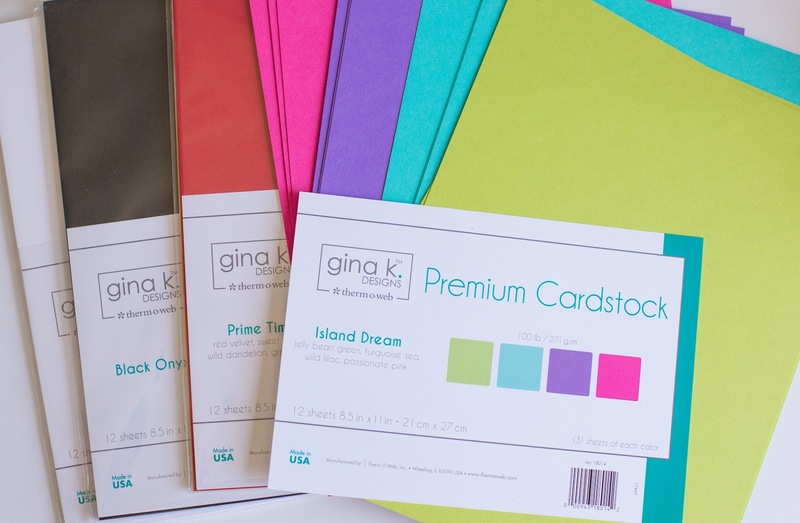 But did you know they also have a line of cardstocks created to match those foils? The colors and black cardstock are all 100lb and the white pack is 120 lb. They are quality cardstocks, I love the colors and I have really enjoyed working with them. 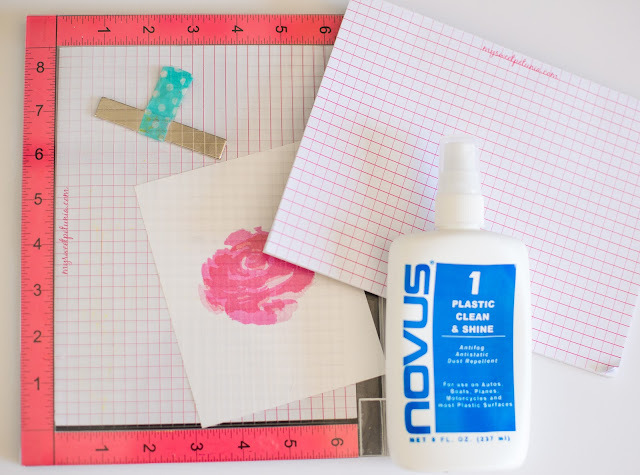 And if you are interested in shopping for some of these supplies, you can find them below. Don't forget to subscribe to my YouTube channel so you can see each installment of this series! Thanks so much for stopping by! 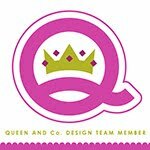 Love all these products, but especially the Queen and Co. candy sprinkles! The sprinkles are a BIG favorite of mine too!